Fahrenheit Nutrition is quickly making a name for not only beating the competition to market with the latest in nutritional supplement technology, but actually beating them in concept, where all of the greatest ideas are born. Fahrenheit was among the very first to translate clinical evidence on the effectiveness of BCAA supplementation to the world of sports nutrition, with its potent supplement, PERFORM. A potent delivery of essential BCAAs, PERFORM has given thousands of athletes the critical building blocks to turn intense training into powerful, lean muscle. Now, Fahrenheit’s product designers are creating true buzz in the industry with the release of ENDURANCE, a next generation nutraceutical that adds to the BCAA punch an unparalleled absorption rate, delivering essential amino acids directly to the muscle faster than ever before. 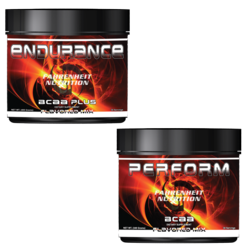 With the ENDURANCE formula, Mellors explains, “Our chemists have literally ‘lapped’ the competition by adding the novel combination of beta alanine and creatinol-o-phosphate, combined to dramatically speed and target absorption directly into muscle tissue*." 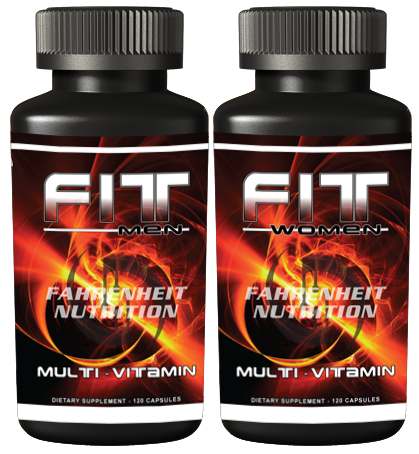 FIT Multi-Vitamins by Fahrenheit NutritionFIT Multi Vitamins by Fahrenheit Nutrition, Provides you all multi vitamin benefits a proprietary blend of ingredients formulated to help maintain a clean and healthy liver. 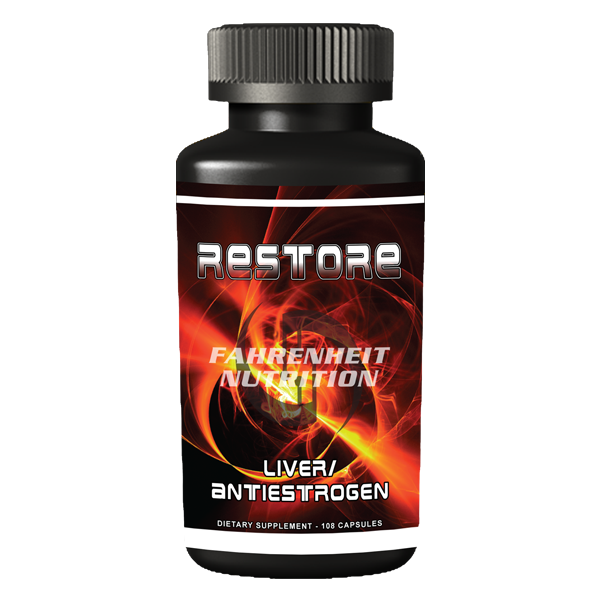 Acting essentially as a filter for toxins, the liver is one of the body's most important organs.